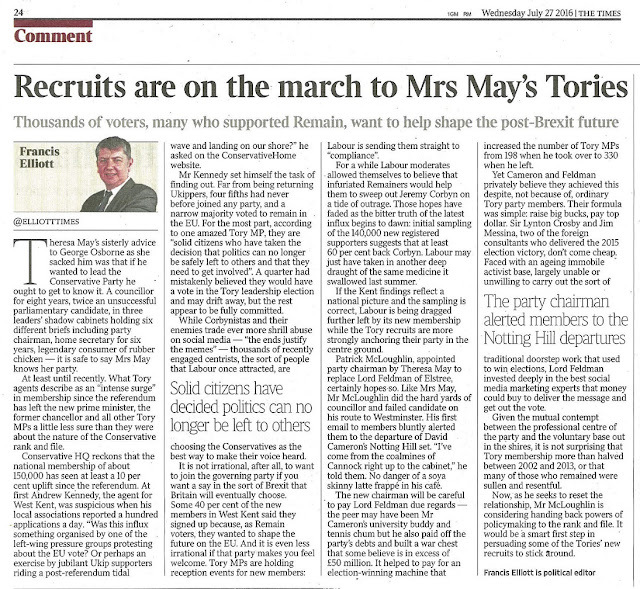 If we agree that the primary, if not the sole, objective of the Conservative Party is to win elections then we can have no complaints about the Party’s relentless focus on those very seats which deliver victory. Our 40:40 strategy played a major role in achieving that in 2015, and should be celebrated. But, we must also accept that there are unhelpful consequences of allowing the Party’s organisation to decline in those constituencies the wrong side of 40:40 and also in allowing our traditional “majority” seats to stumble on without a serious strategy to grow and develop. I entered politics in Merseyside in the late 1970s. The climate then was very different to what we have now. The Conservative Party held two seats in the city of Liverpool (Wavertree and Garston) and was competitive in two others. 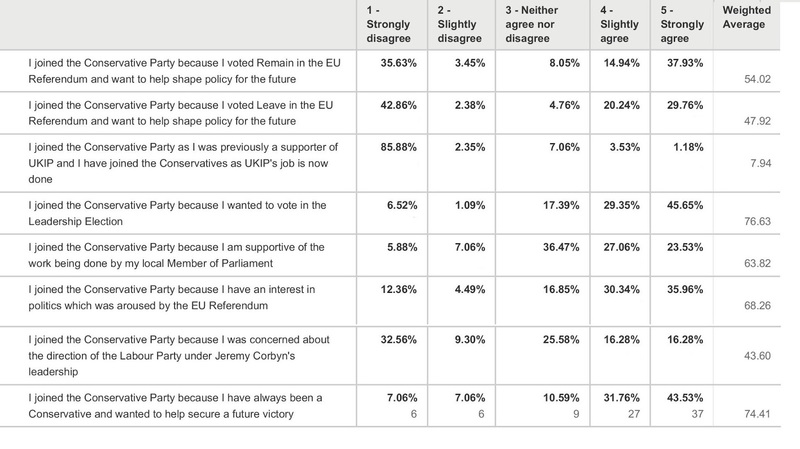 We also held Crosby and Wirral West with majorities of 20,000. We held Southport and Wirral South by almost 10,000 and in Wallasey Lynda Chalker had a majority of 2,000 in a seat which had been Conservative since its creation. In Local Government the Conservative Party controlled Merseyside County Council, held a third of the seats on Liverpool City Council, comfortably controlled Wirral and Sefton Councils and had representation throughout the County. All that has now gone. There are now no Conservative MPs in Merseyside, no Conservative councillors in Liverpool or Knowsley, three in St Helens, and in Sefton (which is home to some of the county’s wealthiest and most exclusive neighbourhoods) we are down to just six out of 66. Only in Wirral do we remain competitive, even though we have not had a majority on the Borough Council for 30 years. This story isn’t unique to Merseyside. A similar tale of decline could be told of Manchester (with the honourable exception of Trafford), Leeds, Sheffield, Newcastle ... in fact, any major industrial city or region. Does this matter? After all, we can win a Parliamentary majority without them. In my view, yes it does, for two, very important, reasons. Firstly, if we are to be a truly national Party we must have in place a structure which enables us to hear, absorb and reflect the views of the entire United Kingdom (and that includes Northern Ireland). 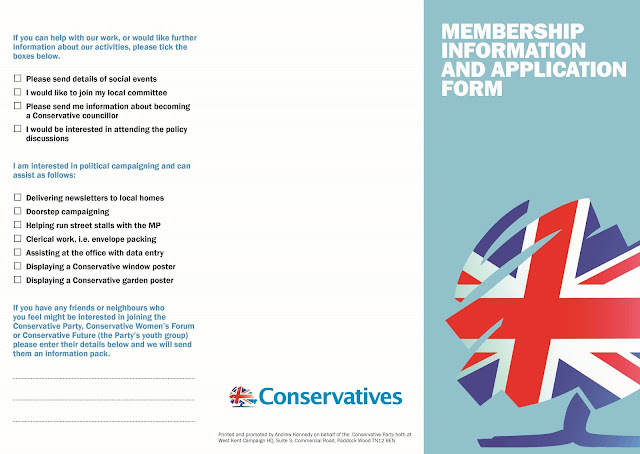 This cannot be achieved if the Conservative Party does not meaningfully exist in a third of the country. 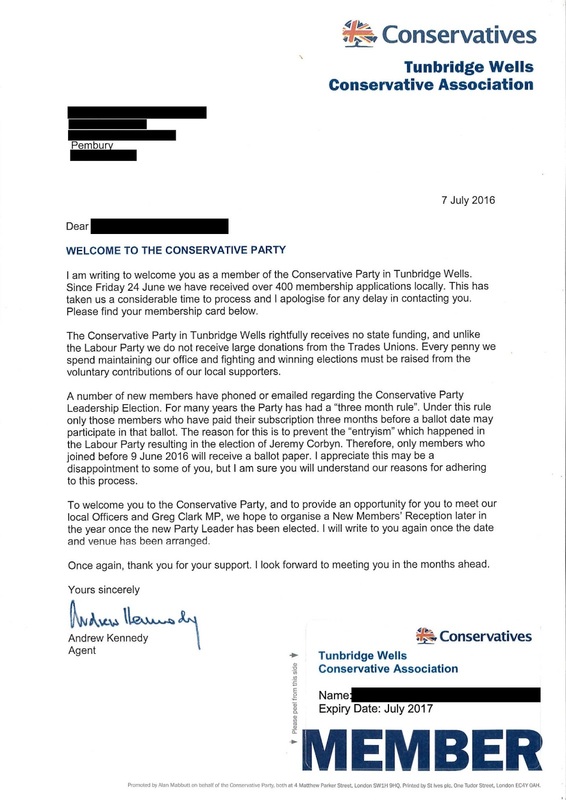 Secondly we have a duty to give Conservative supporters both candidates to vote for, and an organisation to be a part of, in every constituency. And this can only be achieved by having no no-go areas for the blue rosette. 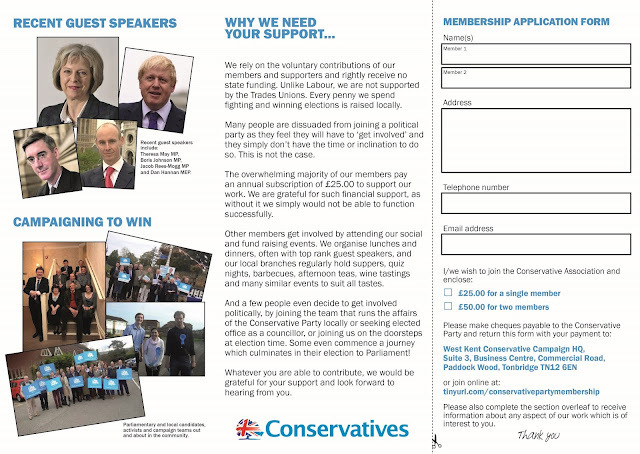 I am not so starry-eyed as to believe that “one big push” will deliver new Conservative MPs in areas that haven’t had them for a generation. However, in every town, city and borough there are sufficient Conservative voters who, if properly motivated and organised, could gain council seats and start a nascent organisation where none has existed for decades. None of this will happen by chance. It will require dedicated effort from CCHQ, investment (in terms of infrastructure and staffing) and, just as importantly, the goodwill and co-operation of what few activists we still have in these areas, many of whom feel so abandoned that they may be understandably suspicious of “outside” interference. The prize, however, is one worth striving for. One or two Conservative council victories in Liverpool, Manchester or Newcastle would do more for morale than gaining another 20 council seats in Kent, and the very fact that the Conservative Party can “come back” in areas where we have been written-off would, in itself, breed further success as thousands of Conservative voters “cam home”, realising that we were no longer a lost cause. With those returning voters would come returning members, donors and activists – and so we would slowly begin the process of renewal. In 1987 Lynda Chalker faced the battle of her political life. “Militant Tendency” were in the ascendant in Merseyside. In Wallasey demographic changes made her seat vulnerable and a Militant-backed Labour candidate was well-financed and attracted committed activists from across the region. Had Wallasey Conservatives had to face this battle alone, they would have lost. I know, I was there and was part of the team running Lynda’s campaign. But we were bolstered by 100 activists “on loan” from Wirral West (the Conservative MP accepting he wasn’t going to lose), and 100 further activists from the City of Liverpool (our candidates there accepting that they probably weren’t going to win, but wanting to ensure that Lynda did). 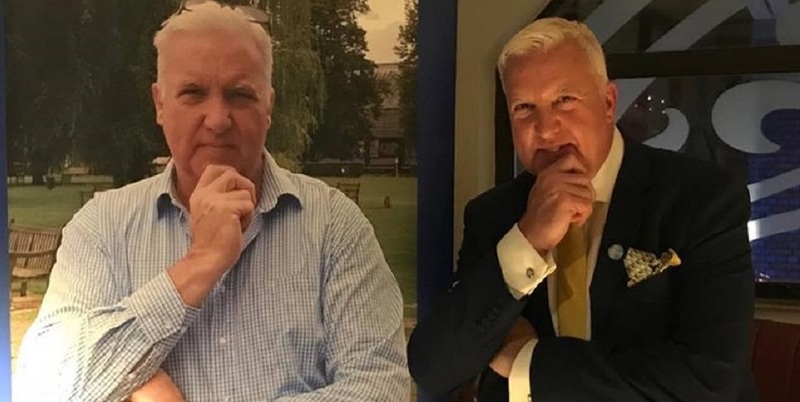 This flood of local support from people who knew the area, understood the issues and implications, and cared about the outcome, enabled the Conservative Party to hold Wallasey by just 279 votes. Last year the situation had reversed. The atrophy of our organisation in Merseyside took its toll in the harshest way. In a city which in the early 1980s boasted over 3,000 Conservative members there are now just 80, and of these (according to my friend Tony Caldeira, our Liverpool Mayoral candidate) there are probably no more than 10 activists. As the Conservative Party has died in Liverpool, so Labour has felt sufficiently confident to release en masse their activists to fight elsewhere. It was the flood of Labour activists which enabled Labour to win Wirral West and Chester, a complete reversal of a generation ago. And this is why we must rebuild and renew. Small victories at council level will rebuild morale and knock the confidence of the opposition. Councillors and activists in all our major towns and cities will improve the narrative we have with the whole country – but, equally important is having a local resource to draw on to help defend or gain our nearby target seats. This is infinitely preferable to the cost and effort of bussing activists around the country into areas they do not know, and with which they have no emotional connection. There are some simple procedures that the Party can put in place to help this happen. The early selection of Parliamentary candidates (either through individual constituency selections or the City Seats Initiative) would be a catalyst for activity and campaigning. The appointment of a series of high profile Ministers with specific city/region responsibilities and overseeing our revival, would ensure our local people had access to media coverage and that our arguments were at least heard. But the above, whilst being helpful, would probably only provide a short-term focus on the next Parliamentary campaign. 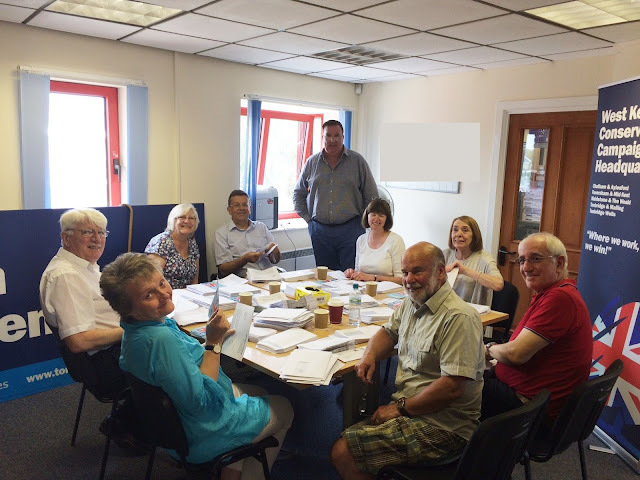 What we really need are a dedicated team of paid organisers in each area, whose sole focus is the long-term and painstaking task of rebuilding our organisation from the grass-roots up. 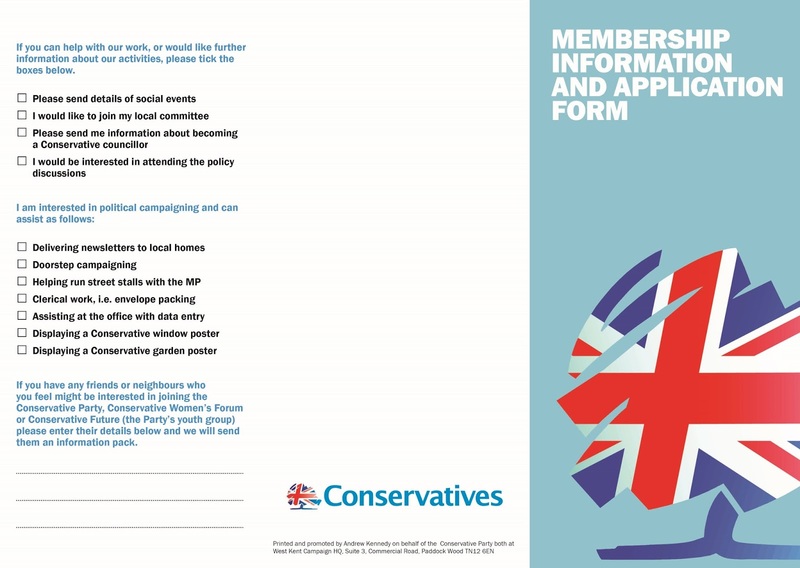 And given the lack of members and money in so many of these areas, this can probably only be achieved if the Party pursues Lord Feldman’s goals of ‘grouping’ to ensure the project doesn’t fail. 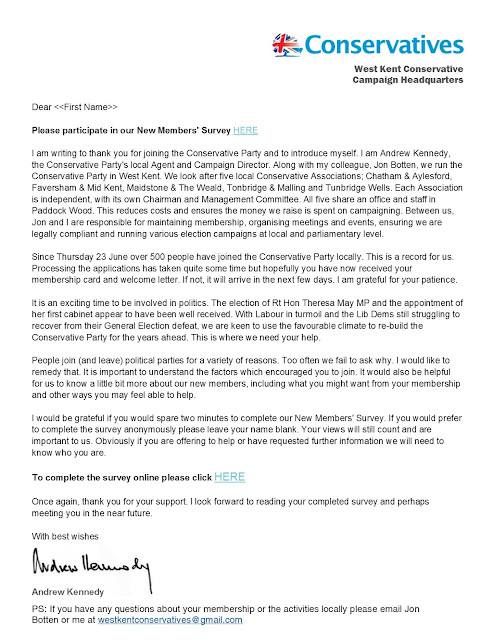 I wish our new Party Chairman, Patrick McLoughlin, every success. He takes the reins at an exciting time for our Party. New members, a new Prime Minister, an Opposition in disarray, and a 16% lead in the polls musty not lead to complacency. These factors provide an opportunity to do something truly radical which will benefit us for generations to come. We rightfully criticised Gordon Brown for “failing to fix the roof while the sun was shining” on the economy, let’s hope future generations of activists don’t make similar criticisms for failing to fix the problems of the Voluntary Party while the sun is shining on Theresa May. 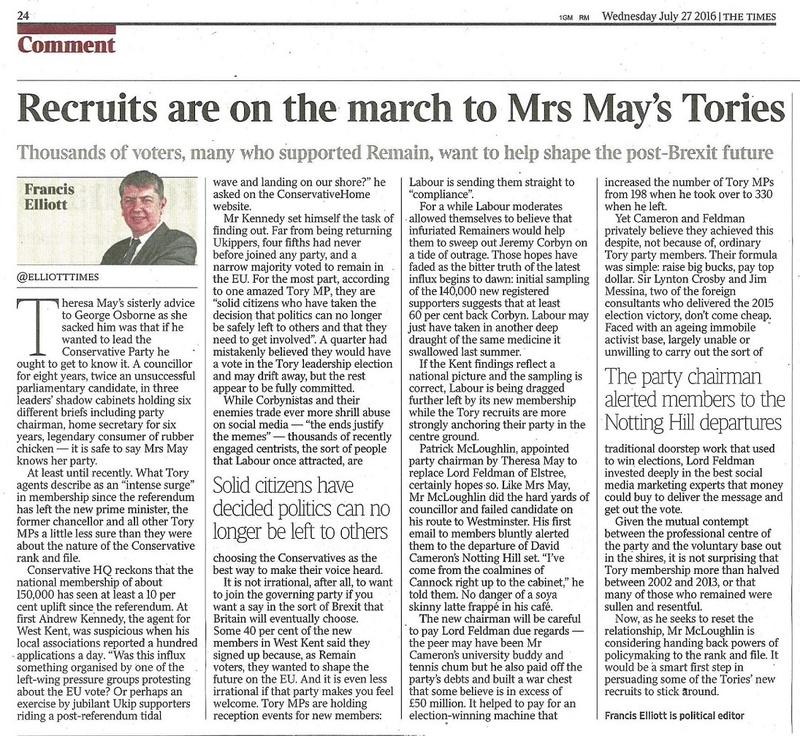 With the Labour Party in disarray, Theresa May riding a crest of popular support and with nationwide interest in political engagement at an all time high, Conservatives should be pushing home our advantage by embarking on an ambitious recruitment campaign. Today's star packers (from bottom left): Chris Baldock, David Adams, Joan Tree, David Elliott, Catherine Adams, Sue Nuttall, Joe Mamo, Jeff Tree - with Owen Baldock out of range on the franking machine. I am absolutely delighted that the Government (and party's) attitude towards selective education appears to be changing. I attended a comprehensive school, but I was fortunate insofar as it had been a grammar a few years earlier. The ethos was still there: respect for the teachers, morning assembly, discipline, focus on learning with zero tolerance towards disruptive pupils. At the last Olympic Games our entire country celebrated the success of our athletes.They achieved success because their skill was identified, they were removed from the pack and given the specialist training and support to ensure they fulfilled their potential. No-one said this was wrong. No-one said that the sprinters and runners and rowers left behind felt snubbed. As far as I can tell, their success was celebrated by their former colleagues and the nation cheered their success. If we accept that our top athletes benefit for specialist training and focused support, how on earth can we deny the same potential to our top students? Britain needs excellence and we should be prepared to identify and develop it in every aspect of our national life. And this includes our education system. 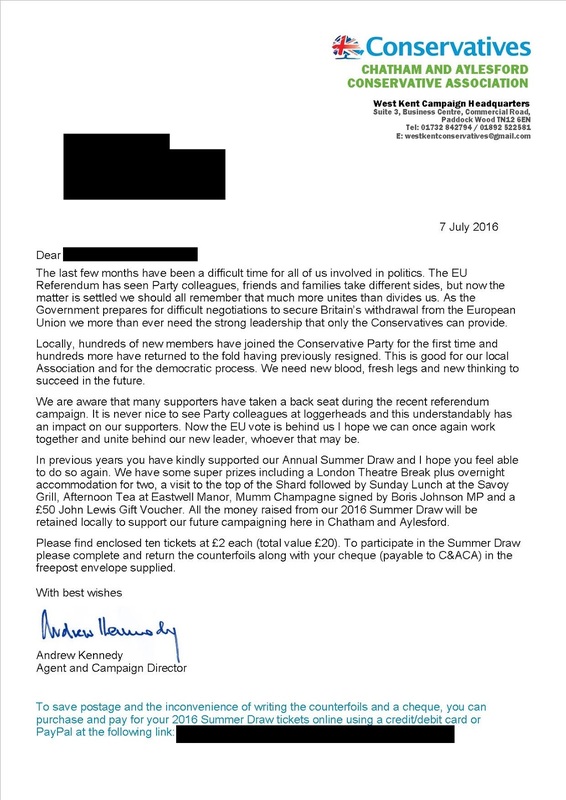 With the EU Referendum on the horizon we anticipated this would have a detrimental affect in our fundraising, and in particular the Summer Draw which would be running at the same time as the EU vote. We decided to put back the "end date" for our Summer Draw tickets from July to August, to allow the dust to settle, with good results as a consequence. 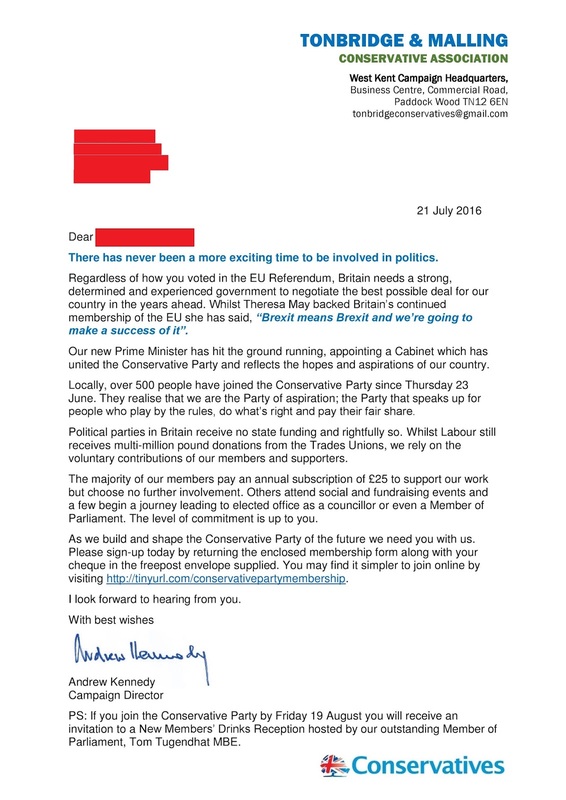 In the three weeks since the 23 June referendum we have taken as much money as the four weeks before it. As of yesterday the five West Kent Associations had reached 90% of the 2015 total, with one Association (Chatham and Aylesford) reaching 112%. We also contacted pledges in several target wards, raising over £1500 and identifying 150 brand new donors. 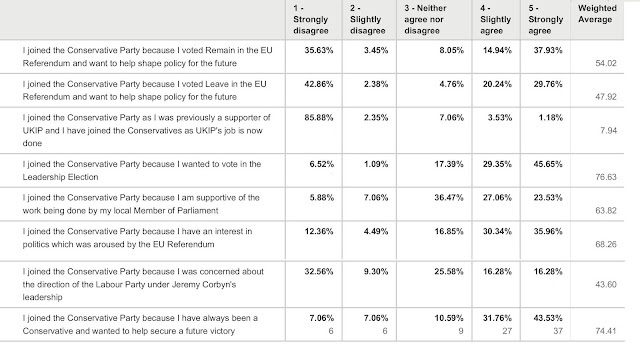 Given the wider political climate, I am very pleased with this result. Below is our "reminder" letter, posted to previous buyers who have not yet responded. With four weeks to go before the deadline, I am confident we will easily exceed our 2015 totals. Like every other Association in the UK, new membership applications have spiked in the two weeks since the EU Referendum. We have processed over 400 in West Kent with another 100+ waiting to be dealt with. 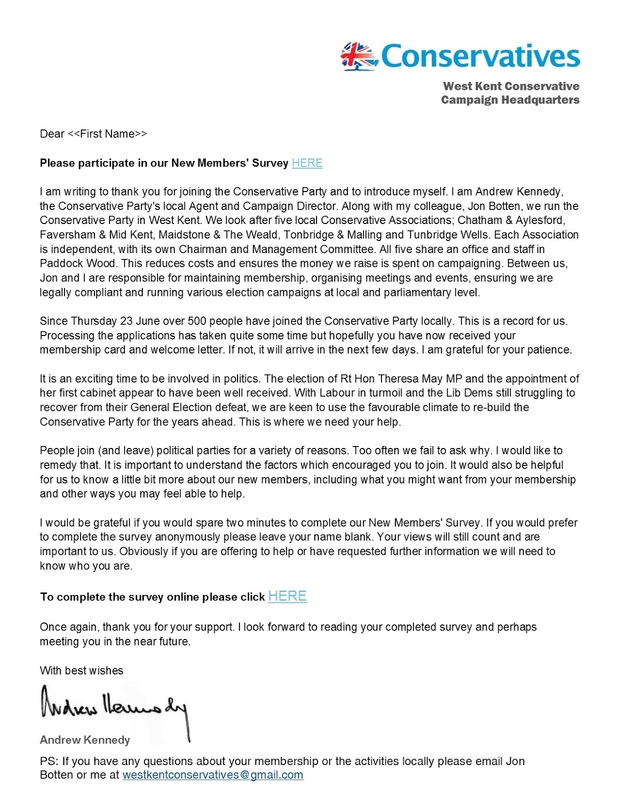 I thought regular readers might appreciate sight of our "welcome letter" in which we thank and welcome the member, deal with the fact they will not be qualified to vote in the leadership ballot then try to soften any disappointment and ensure they feel welcome by inviting them to a new members reception hosted by the local MP. As always, please feel free to borrow the content if you like it.